In 2002, Tania Serrano began studying Pilates after experiencing chronic lower back pain as a result of pregnancy. After one class she was hooked and continued training, earning her Full Certification from STOTT PILATES. She enjoys working with clients of every skill level including those with movement backgrounds, athletes, runners, special needs groups and lifestage-specific clients including pre- and post-natal women. ​Tania also offers physio-taping (seen on many professional and Olympic athletes), a method of supporting uneven muscle structures as they are stretched and strengthened. Tania continues to thrive and learn about our mind-body connections and loves helping her clients meet their fitness goals. 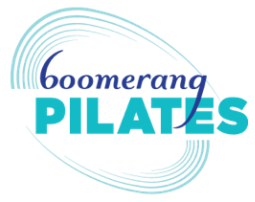 She is passionate about sharing her knowledge with those around her, and continues to integrate the fundamental principles Pilates has to offer into her lifestyle for optimal functional health and movement.